View More In Uniforms, Work & Safety. Sonja, our classic openback clog, features a padded instep for additional comfort. 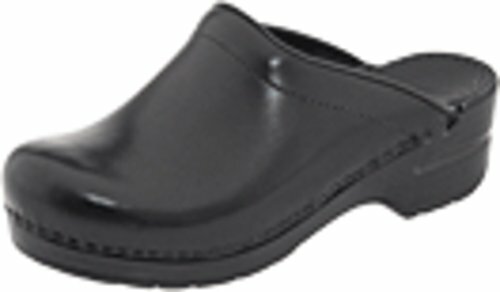 Leather and/or fabric uppers Padded instep collar for comfort when walking Roomy reinforced toe box for protection with plenty of wiggle room for your toes PU outsole with rocker bottom to propel foot forward and provide shock absorption Wide heel strike for greater stability Leather socklining for longwearing comfort PU inner frame to reduce torque and provide stability Protective TPU heel counter allows the heel to move up and down freely while providing lateral stability Manufacturer Restricted Item Restrictions dictated by the manufacturer prevent us from allowing any discount to be applied.